Looking to add an extra splash for fun to your party or event? Check out our list of dunk tank rentals in New York. These dunk tanks are safe, affordable and will be a huge hit at your party. Click here to find more trusted services that provide dunk tanks in NY. Fun Party With Magical Memories Entertainment! Make your party even more fun with a dunk tank for everyone to enjoy. 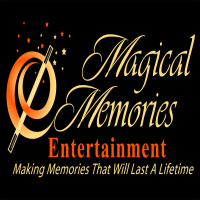 Magical Memories Entertainment can provide any services and entertainment for your special event. One of New York's full service event companies, Magical Memories Entertainment dedicates themselves to making your party a fun and entertaining event for everyone to enjoy. 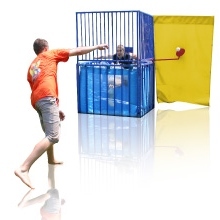 Have a dunk tank rental at your NY party and let your guests enjoy the fun and excitement of your party. Call Magical Memories Entertainment today for your inquiries and reservations. Have A Dunk Tank At Your Awesome Party! Make your party fun and exciting for your guests and rent a dunk tank where everyone can enjoy playing with it and will have a good laugh after seeing someone getting thrown into the water. 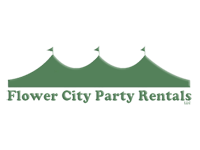 Flower City Party Rentals is a full service party rental company serving the greater area of Rochester New York and they dedicate themselves to providing a great service in making any event a fun occasion for everyone to enjoy. So make your party more fun and exciting and rent a dunk tank from Flower City Party Rentals. Visit their website to make your reservations. Designed to fit through gates as small as 24 inches! Irwin's Parties provides CHLORINE for safe dunking! Email mistirkap39@gmail.com for a free estimate! "We Bring the Amusement to you!" Give Your Party That Extra Fun And Have A Dunk Tank! Have an exciting party where everyone can truly enjoy and have a spectacular time. Rent a dunk tank from OC Entertainment Inc, you will be sure that your guests will really enjoy playing with the dunk tank and will have a great time. Serving the areas of New Hampton, Orange County and Rockland County of New York, they dedicate themselves to providing the best entertainment and fun party equipment that everyone can really enjoy. 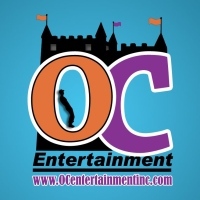 Contact OC Entertainment Inc today or visit their website and rent some party equipment and great entertainment for your guests to enjoy. Have A Great Party And Complement It With A Dunk Tank! Make your party a fun and memorable occasion, rent a dunk tank where your guests can enjoy playing with it and have a great time. Rent your dunk tank from Bouncers 4 Rent, they provide the best party equipment to make your party even more exciting and entertaining. Serving the area of Long Island New York, Bouncers 4 Rent provides a wonderful service and guarantees customer satisfaction. 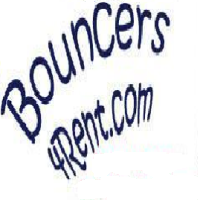 Rent your party equipment from Bouncers 4 Rent. You will be sure that your guests will enjoy the inflatables and the dunk tanks and will have themselves a great time. 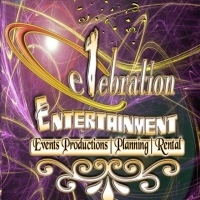 Celebration Entertainment Providing Fun For Your Party! Plan a party that is filled with fun and excitement, rent a dunk tank and other inflatable party equipment from Celebration Entertainment. You will be sure that your guests will enjoy and you yourself will as well. Whether it is a birthday, anniversary or any celebratory party, Celebration Entertainment provides the best in entertainment and fun for your party. A premier choice in party service providers here in New York, Celebration Entertainment will make sure that your party will be a success. So make your party even more interesting and rent some amazing party inflatables and dunk tanks for your special event. You will be sure that everyone will enjoy and have a great time. Make Your Party Here In New York More Exciting! Have a dunk tank at your party or an inflatable water slide where you will enjoy and have a great time at your party. 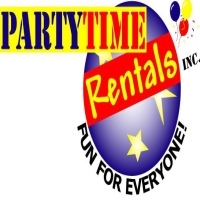 Partytime Rentals can provide to you all the essentials in making your party a one of a kind event where everyone can really have a great time. New York's foremost full service rental and event management, Partytime Rentals will make sure that your party will be a wonderful event filled with satisfied guests. Book your reservations and contact them, they will definitely provide to you all your party needs to make your event a success. Exciting Party Here In New York! Make your party a wonderful event where guests can enjoy and have a great time. Rent a dunk tank for your party where you can enjoy yourself seeing someone getting dunked into the water. 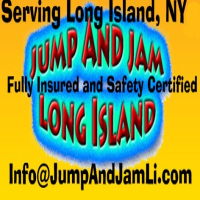 Or you can rent other party equipment from Jump And Jam Long Island such as inflatable slides, tents, carnival games, and many more. So plan your party and make it a great experience for your guests. Have a dunk tank and other party equipment to make your party one of the best parties that you ever had. Rent A Dunk Tank For Any Special Occasion! Make your celebration a fun and exciting event and rent a dunk tank for your guests to enjoy. Cotton Candy Clowns offers its services to the Tri-state areas of New York, providing party rentals such as dunk tanks, inflatable water slides, tents, obstacle courses and many more. They will make sure that the party equipment is safe and fun to play with. So plan your party and rent some fun party equipment for your special event. 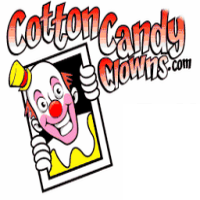 Visit the website of Cotton Candy Clowns to make your reservations or call them at their hotline.